Have you ever taken notice of street signs while wandering around a city? I mean not only casting a short glance at them because otherwise you would be getting terribly lost in a foreign place. During my travels, I’ve come to acknowledge street signs as unique emblems of their cities. They all have a typical design whereof you can usually recognize the city they belong to. And they can tell stories. 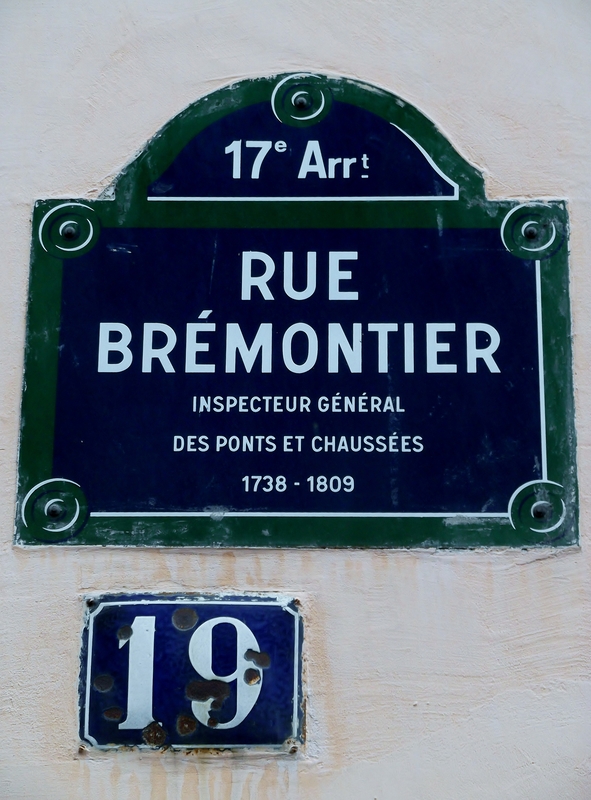 The one above is a typical Paris street sign. Its upper part indicates the city’s district (arrondissement), while the lower part contains the street’s name and optionally some additional explanations. This special one means a lot to me, because it’s the street where I lived 7 months as an au-pair girl in Paris after school. And take a look at the house number plate, was it shot at? I tried to find some information about it, but the only information I found was that the street got its name in 1864. Do you know anything about it? If so, feel free to leave a comment in the comment section at the end of this post. The Big Hotchpotch: Pictures of Paris. Cool post! 🙂 I love street signs. Thanks! And also for following my blog! I love street signs — I have a post on the street signs in Macau: http://smalltowngirlsmidnighttrains.com/2014/04/03/macau-street-signs/ — so this really jumped out at me. Nice. And I love Paris too. Thank you, yes, the street signs of a city are unique emblems! Street signs in any city can tell you a lot about a place, and the names all have stories behind them. Love the personal connection to your time in Paris. Hopefully you’ll be able to find out some more about the street and why there seems to be holes in the number! Thank you, I actually started shooting street signs as a way to remember where I took the following photographs of a place. Then I came to realize they are a worthwhile subject in themselves. Lol isn’t it great what we discover by accident? Lovely photos! I enjoy looking at the signs in different places as well. Don’t forget to look down, I find the manhole covers particularly fascinating. While some of the cities are plain and unadorned, others have some fairly ornate designs, and they look fantastic in the cobblestone. I just had to look up in a dictionary what a manhole is (lol, although it’s such a vivid term). It’s never occured to me to look down at manholes, but I will do this in the future. Can you recommend cities with beautiful ones? Prague has nice ones, but my favorites are in some of the really small German towns I’ve been in. They seem have the seal of the city on them! Hi, was ist die CGT? Die größte französische Gewerkschaft, die regelmäßig das ganze Land lahm legt. I love looking at street signs, too. Thanks for the compliments! 🙂 Especially because English is not my first language, and it’s not that easy to express oneself in a foreign language. My theme is a paid theme (Traveler) and at the same time customized by me. I have just changed my theme to Traveler, so I still have some cleaning up to do. It’s good to get some positive feedback! Hi, I would be happy if you shared my blog with your twitter group! 🙂 Go ahead!